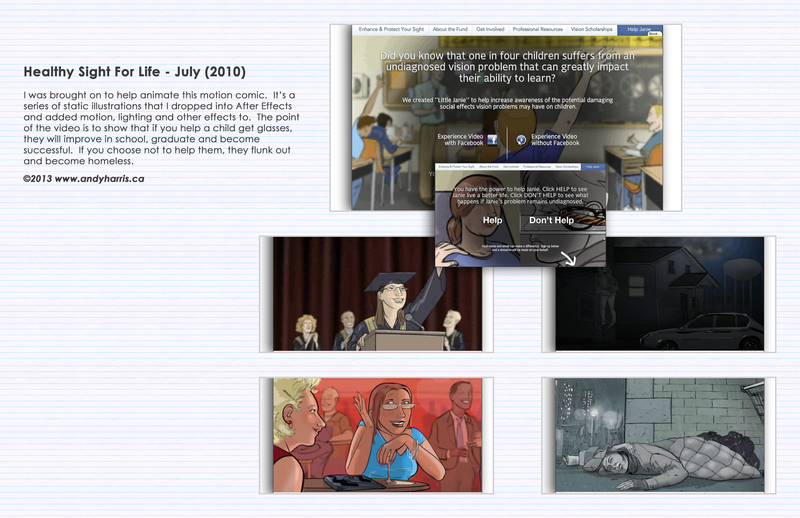 Healthy Sight For Life – July (2010) I was brought on to help animate this motion comic. It’s a series of static illustrations that I dropped into After Effects and added motion, lighting and other effects to. The point of the video is to show that if you help a child get glasses, they will improve in school, graduate and become successful. If you choose not to help them, they flunk out and become homeless.